Yesterday’s ‘Part One’ article detailed a list of concerns from a number of grassroots rugby people around Australia. It also listed some of the initiatives and activities that are taking place in grassroots rugby, courtesy of Rugby Australia, the various state unions, and other non-affiliated bodies such as the Australian Rugby Foundation. If you missed it, you can read it here. What is clear is that there is a significant disconnect between rugby administrators and (some, not all) people at the coalface of grassroots rugby. It is fair to say that any casual, uninformed reader, would think that yesterday’s article was written about two completely different sports. For today’s discussion, we look at reasons for such disconnect, and in some cases, offer explanations and possible solutions. 1. The problems of today have been a long time in the making. Although rugby became professional in 1995, it was in the early 2000s that the Australian Rugby Union, intoxicated by World Cup success in 1999 (as winners) and 2003 (as hosts), adopted a strategy of investing money and energy into the elite professional game, in the belief that grassroots supporters, and new converts, would be swept along, without commensurate investment and focus being placed on the community game. 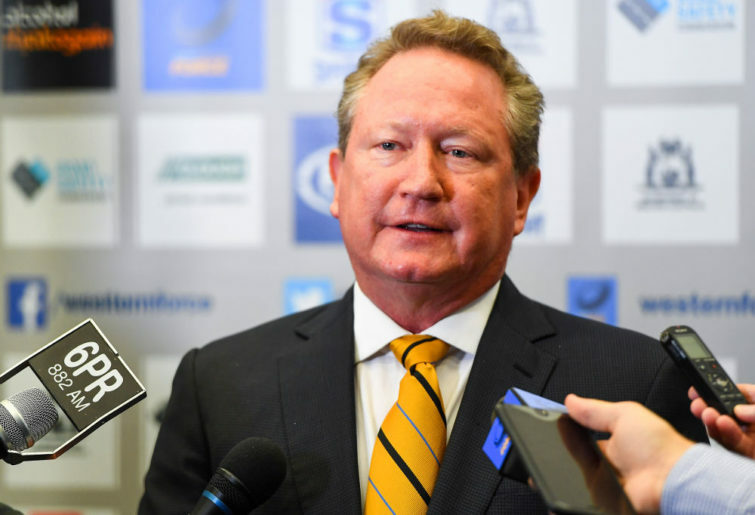 It is fair to say that the current Rugby Australia administration adopts a more balanced approach, however, as evidenced by struggles in Welsh rugby, it is no easy task to turn around decisions once they have fundamentally changed the fabric of the sport. 2. There is reluctance on the part of many people to understand or accept that Rugby Australia has to administer grassroots/club/community/schools rugby and professional rugby, and do so from finite revenue. It does not have the luxury of choosing one over the other, nor can it pretend that Australia’s leading players and coaches are not subject to global, free market competition for their services from clubs in rugby nations that are far wealthier than Australia. A commonly heard refrain is that Australia should turn its back on SANZAAR and/or professional rugby and focus on grassroots, and operate a solely domestic elite competition. However I am yet to hear anyone explain why Australia’s elite players would elect to play in any such competition that would pay them substantially below their true market worth. Nor have I heard anyone with that view admit that they would accept Australia becoming a 2nd tier rugby nation with no realistic prospect of being competitive at World Cups, against fully professional programs – which is the inevitable outcome if the game in Australia elects to become amateur or semi-professional. 3. One of the main reasons that the club or grassroots game and the professional game have diverged is that most leading players don’t play for a club, or even have any association with a rugby club. Pre 1995, club members would know rep players personally, and follow ‘their’ players up through rep rugby and into Test rugby, thus ensuring a large body of ready supporters for provincial and national sides. Super Rugby franchises understand the importance of having leading players visible and active in the community, and players are, almost without exception, friendly and obliging. But despite the reach of social media, this cannot deliver the same strength of connection that standing shoulder to shoulder at the bar or urinal with a fellow club member, who just happens to be a state or Test player, once did. 4. Problems are exacerbated due to a lack of clarity around discussion points, and conflagration of multiple issues. For example, are the matter of pathways for junior and club players into professional rugby, and the survival and growth of community rugby actually the same thing? In a similar vein, dissatisfaction over issues like player behaviour, coaching and selection, the Wallabies unfavourable win/loss record, cutting the Western Force from Super Rugby and so on tend to be lumped together, illogically demonstrating how Rugby Australia doesn’t care about or understand grassroots rugby. 5. The grassroots discussion has to a degree been hijacked by proponents of Sydney’s Shute Shield, their media ‘stalking horse’, Alan Jones, and the recently formed, Association of Australian Rugby Clubs. The rightful place of the Shute Shield in Australia’s landscape is an important topic, and some of the Association’s concerns are valid and genuinely held. However this discussion mostly belongs in a different space. To repeatedly claim that by not directly investing into the Shute Shield – a semi-professional competition with ambitions to become professional – Rugby Australia is ignoring the grassroots, is not only disingenuous, but is a false premise that hinders genuine efforts to move the game forward. 6. While the overall sentiment around rugby is improved when the Wallabies are successful, it is actually possible for there to be high performance failure, and to simultaneously improve grassroots outcomes. For example, Soccer Australia went into liquidation in 2003, the Socceroos have never got beyond the group stage at World Cups, the Matildas have never won any tournament of note, and the sport is continually subject to vicious in-fighting, yet since 2003, soccer has continued to grow grassroots participation numbers. 7. Many grassroots people interviewed for this article described how the problems they described around declining player and volunteer numbers, were also being experienced by other sports in their location. It is clear that what these people agreed was the core problem, is in large part due to generational, societal and technological change that is impacting upon all sports and leisure activities, rather than any specific incompetence within the game’s administration. 8. 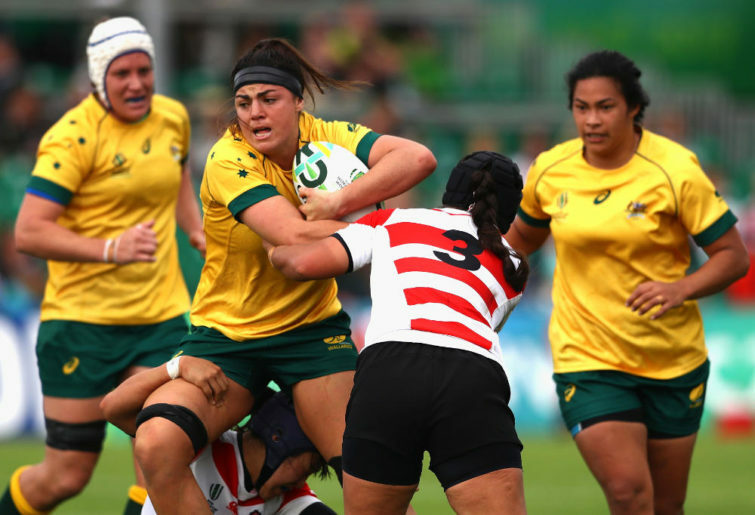 While Rugby Australia heralds growth in the women’s game, many traditional participants don’t see women’s rugby as ‘real’ rugby. This is wrong, not for reasons of political correctness or diversity, but because the game needs all of the numbers it can get, in all forms of the game. These female participants comprise the mothers and decision makers of the future, who will help determine what sport their own children will play. It is essential that they are positively disposed towards rugby so that they underpin future growth in the game. 9. Australian society is experiencing an unprecedented period of breakdown in institutional trust, and an increasing tendency for people to rail against leadership. For Rugby Australia substitute the ‘ABC board’, ‘traditional political parties’, ‘big banks’, or any of Cricket Australia, the FFA, the NRL and the AFL. Deserved or not, and despite widespread public misunderstanding of fiduciary duty, these institutions are easy targets for ridicule and disdain, no matter the ramifications or absence of viable alternatives. Note how many of the frustrations outlined in ‘Part One’ are clearly outside of the direct control and influence of Rugby Australia – partisan club officials, population drift, strong clubs poaching from weaker clubs and so on. With respect to financial assistance for ailing clubs, I have been closely involved with three rugby clubs, none of which received, nor expected, any direct financial contribution from the national or state/provincial unions. Yet today – perhaps because the game is professional – there exists an undercurrent of resentment that money does not flow down into clubs. Is this a realistic or fair expectation? Israel, please shut up about God – oh, and happy Easter! "KB did a fantastic job out the back tonight"
10. It is quite possible to ignore the negativity prevalent on forums such as this, and simply get on with the job. This is indeed what is happening in clubs and schools around Australia today, via thousands of rugby people who choose not to complain but to enjoy their engagement with the sport. Australia Day honours this year were awarded to Anthony McDermott (Brothers RC, Brisbane), Pamela Dean (Beecroft-Pennant Hills RC, Sydney) and Robert Porter (The Entrance RC, NSW Central Coast), for services to rugby union and the community. The Australian Rugby Foundation is an example of rugby people at a high level, electing to work within the game, rather than at cross-purposes, to improve rugby outcomes. Roar contributor ‘supportgrassrootsrugby’ recently wrote of the efforts of rugby people in Cloncurry to revive the sport there. And while there are positive ‘golden oldies’ rugby stories all around Australia, in Melbourne, the home-grown Vic Masters goes from strength to strength, growing player numbers and securing another ‘Bloody Slow Cup’ curtain raiser to the upcoming Rebels v Chiefs Super Rugby match. The Vic Masters model throws up possibilities for the traditional XV’s game in other respects, around the problem of young players being increasingly reluctant to commit every week over a whole season. In lower divisions for example, where sheep stations are not on the line, it might make sense to de-emphasise the ladder points and focus instead on participation – in Masters all players turn up to a central location that is shared around clubs (as opposed to a regular home-and-away fixture for each team), whenever they can, and if a team is caught short, other players chip in to make up the numbers. 11. Rugby fans who live in the main centres can help break down professional/amateur barriers themselves by attending Super Rugby training. What they will find is young men working hard on the game, and enjoying each other’s company – not dissimilar to what happens at any regular rugby club. Fan attendance at training is a common feature in the AFL, yet Super Rugby teams regularly train in front of nobody. I am continually surprised that rugby fans don’t take the opportunity to observe the goings on at training, get a feel for the work of the coaches and take the chance for a brief chat with a player or two, after a session. Almost certainly, this would help dispel the myth that professional rugby players are ‘entitled’ and somehow lesser people than what rugby players were in amateur times. 12. One of life’s truisms is that perception is reality. No matter how illogical, overstated or unfair it might be that all things ‘bad’ concerning Rugby Australia are amplified, and nothing ‘good’ is acknowledged, if Rugby Australia is on the nose, it is on the nose. Some of this comes with the territory, some of it can be resolved by rugby people taking a more rounded view, and some of it can be resolved by Rugby Australia and the state unions making better decisions and communicating more effectively. 13. 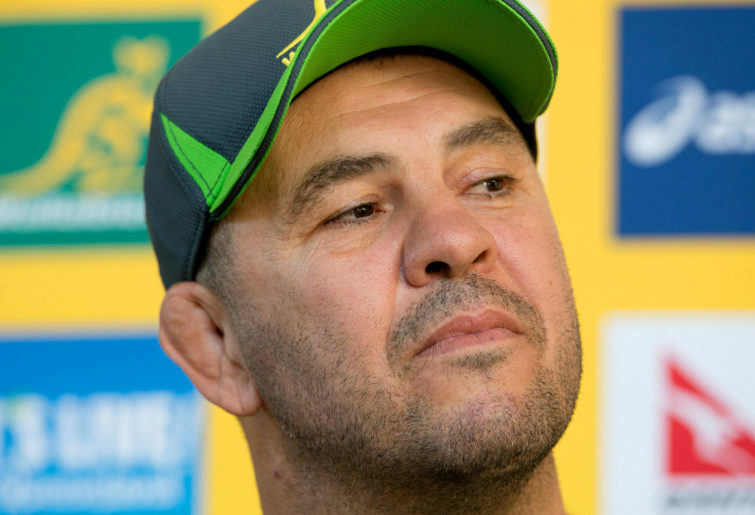 In that respect, Rugby Australia’s main deficiency has been a failure to recognise early, that the core problem/challenge was around change management. What was missed was a suitable communications and marketing strategy to help club members and grassroots participants overcome natural resistance and resentment to change, to help carry them along as the professional game evolved alongside (and moved away from) traditional amateur rugby. With the professional game now 24 years old it is too late to turn back this clock, but it is not too late for Rugby Australia to put more resource into helping rugby participants better understand the wider challenges the game faces, in order to enhance an environment where grassroots rugby people don’t feel dislocated, and where all participants more readily celebrate what they have in common. No club or schools rugby player, anywhere in the country, should resent paying their sub because that money is being used to line the pockets of Michael Hooper, Kurtley Beale or Israel Folau – firstly because it isn’t true, and secondly because they, their parents, and their coaches, should have a better understanding of how the sport works. Raelene Castle has demonstrated a willingness to put herself in front of rugby audiences at all levels. She, and other senior people at Rugby Australia, must work tirelessly to address club members around the country, face to face, in order to communicate rugby’s positive message, to keep chipping away at the professional/amateur divide. Rugby Australia’s #partofmore videos are superb. These need to find a way off the rugby.com.au website and into wider circulation, such as into cinemas, TV, social media feeds, and stadiums prior to Super Rugby matches. For all of the work being done behind the scenes, symbolic gestures are important. 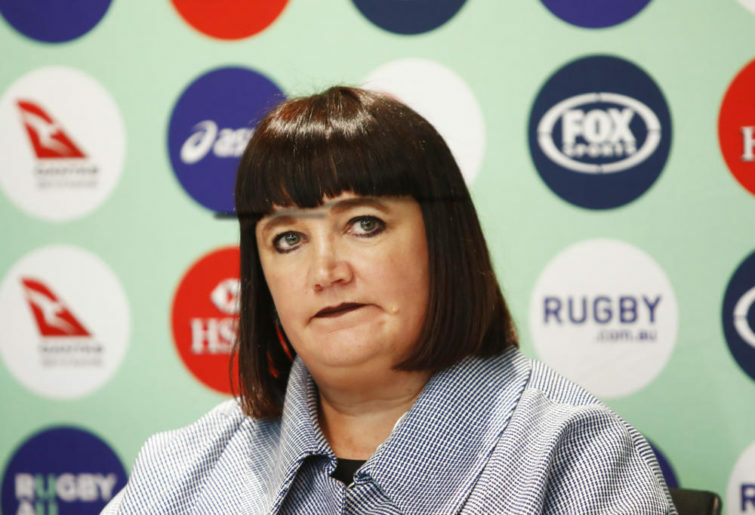 The appointment of a Rugby Australia board member with appropriate commercial acumen and an overt grassroots rugby background, would go a long way towards quelling existing ‘out of touch’ sentiment. Geoff is a Melbourne-based sports fanatic and writer who started contributing to The Roar in 2012 under the pen name Allanthus. His first book, A World in Union Conflict; The Global Battle For Rugby Supremacy, was released in December 2017 to critical acclaim. For details on the book visit www.geoffparkes.com. Meanwhile, his twin goals of achieving a single figure golf handicap and owning a fast racehorse remain tantalisingly out of reach.